SY SEAQUELL has a superior pedigree, built by Alloy with Dubois Architecture. With less than 40 meters air draft clearance and a range of 4,000 nautical miles under power, she has proven herself as a true global cruiser. Her travels over the past five years have included the Pacific, Caribbean, Great Lakes, Mediterranean,and the Baltic and Black Seas. 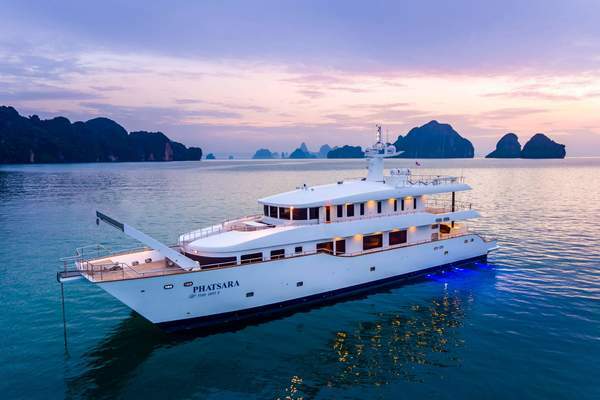 She features many luxurious appointments such as Jacuzzi, Sauna, and a voluminous interior which far surpasses any other Sailing Vessel in her class. 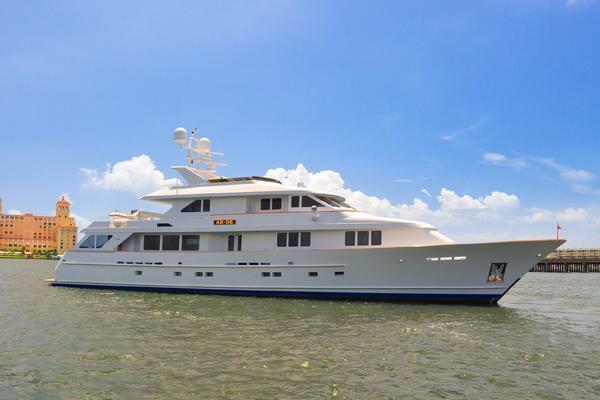 United Yacht Sales New Jersey would love to guide you through a personal showing of this 108' Alloy 1992. This yacht for sale is located in Falmouth, Cornwall and priced at $2,950,000. For a showing please contact us by filling out the form on this page and we will get back to you shortly! Guests will enter the wheelhouse/upper salon through either a port or starboard doorway. This salon offers a 360 degree view of the horizon with comfortable seating for guests as well as the interior steering station and navigation center well-suited for passage making. Forward of the helm station and below is the main salon. Whether one wishes to host formal dining or simply relax, this light and well-appointed area has been renewed by present owner and holds a vast library of music and videos to entertain.Leading aft from the salon are port and starboard guest cabins. The port VIP cabin has a queen berth and starboard has twin berths which can also be converted to one king size bed. Granite floors and counter surfaces have been renewed as of 2013. All interior rooms are unusually spacious for a 30+ meter sail yacht.The master stateroom is aft with a full beam area to relax. A steam shower is available aside form the normal bath amenities. Forward and portside of the master is a bonus room or nanny cabin. This room can serve many different functions including a Pullman berth for sleeping, a gymnasium for work outs or simply a storage area for luggage. The port/starboard stairways leading up the transom are an early Dubois/Alloy trademark and make for easy access on to the spacious aft deck. Spacious lockers are accessed back here on either side of the deck level Jacuzzi. The twin steering station wheels and controls allow for excellent visibility while under sail as wheel as when docking the boat in close quarters. Forward of the helm station is a very comfortable center cockpit which provides an excellent venue for outside dining or a wonderful area for guests to observe the sailing action while underway. Immediately forward and above is an ideal sunning area/observation post providing an elevated view of the horizon. The foredeck and side decks are generous providing ample space to work or play. Forward of the main salon is the full beam galley and crew mess. All appliances are up to date and original galley has been upgraded to provide exquisite dining experiences. Two crew cabins forward provide berths and private areas for up to 5 crew.